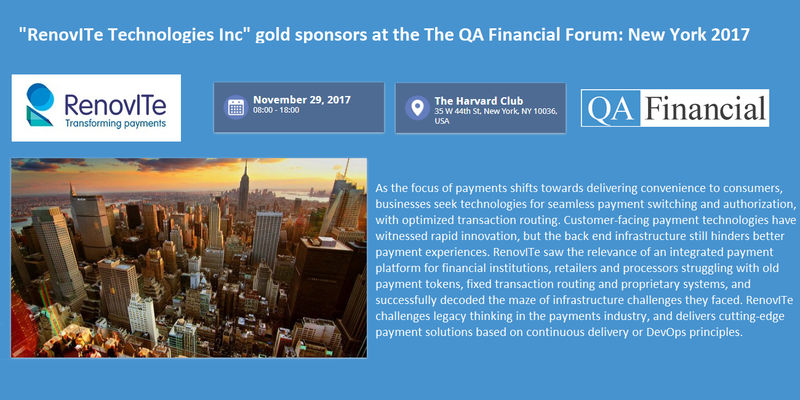 RenovITe is participating in the "The QA FINANCIAL Forum" held on November 29th and would be showcasing our payments products, which would help banks, merchants and payments processors revolutionize their payments solution. This is the leading conference event for professionals working in quality assurance and testing for software at banks, insurance companies and asset management companies. Featuring in-depth coverage on technologies for automation and continuous app delivery, including artificial intelligence.